Muzakirat Hoda Shaarawy (Hoda Shaarawy's Memoires) by Hoda Shaarawy, Cairo: Dar Al-Tanweer, 2013. 292pp. Hoda Shaarawy (1879-1947) wasn't just one of the defendants of women's rights or just a political leader who threw herself full-fledged behind the 1919 revolution; neither was she just "en elite's daughter" from wealthy land-owners in south Egypt. More than all that, she has many generations of history behind her, including British occupation and two revolutions. These memoires give the reader a sense of sinking into seemingly small details that shed much light and elegance on Shaarawy's story and transports the reader into the past. Shaarawy links personal as well as national battles around the 1919 revolution with the establishment of the first women's movement in modern history, the founding of the first Egyptian university, endless battles in a male-dominated world; both in and outside of her home. In the introduction to the book, feminist activist Hoda El-Sadda recounts how Shaarawy had dictated these memoires to her secretary, Abdel-Hamid Fahmy Morsi, entrusting to him its compilation and publishing when the time was to come. Eventually these memoires were first published in 1981 (30 years after Shaarawy's death) as part of Al-Hilal book series, without any final revision. This publication can be considered, then, a living piece of national history - not just a personal story; the two inseparable yet somehow building on one another. Shaarawy, descendant of a well-off traditional family, tells about her childhood, when at the young age of five she lost her father, Mohamed Sultan Pasha, among the leaders of the reform movement during the 19th century. She married her cousin, Aly Shaarawy Pasha, in 1892, who was among the founders of Al-Wafd party that met the British leaders to request the end of the occupation following WWI and led the national movement in Egypt when its leader, Saad Zaghloul Pasha, was detained in Malta by British forces to stop the movement's surge. 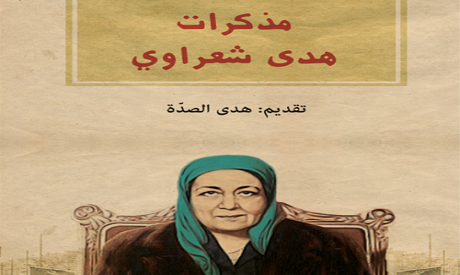 The language Shaarawy used in writing her memoirs is a perfectly modern Arabic, unlike many of her contemporaries, whose writing was loaded with metaphors and complex linguistic styles. Shaarawy talks specifically about her family, husband and the relations between men and women, not hiding anything, at the time when this was unspoken, especially among women. As an example of the story's frankness, Shaarawy speaks about the seven years that she separated from her husband because he backtracked on his promise to leave his other wife (they did reunite). Like other daughters of wealthy elite families, she studied the Quran only until she was nine years old, then continued private tutoring at home to learn Arabic and French. It wasn’t until 1909 when she first was allowed to participate in public activities and joined forces to establish the Mohamed Ali clinic and then the National University. "The Egyptian woman entered the public life through the door of politics, for at the time when we were thinking of how to reform our conditions, the 1919 revolution sparked, and it was critical that every Egyptian man and woman join the lines of revolutionaries until our country gains freedom, independence and for it to become the sole determinant of its future." And so it was that the women’s movement in Egypt was tied to political work and the various forms of organisation, be it NGOs, movements or gatherings; through the political battle against occupation and oppression. It’s true, for example, that the Union of Egyptian Women that Shaarawy established in 1923 took on issues such as minimum marriage age, limiting polygamy rights and extending a divorced woman’s right to her children, but at the same time the Union took up mainly political rights for women, especially the right to nominate and vote. The memoirs also recite some important facts about Egypt's political elite at the time, to which Shaarawy was closely acquainted. She talks about the constant political battles with Saad Zaghloul, Al-Wafd party’s chair and the legendary leader of the Egyptian opposition to occupation, to the extent that newspapers would publish the fierce battles, for example about the best way to face the occupation and the relation between the Egyptian monarchy and Sudan under occupation. In general, the Women’s Union took up more radical positions than Al-Wafd ever did. Aside from all this, Shaarawy took interest in arts and hosted great writers, artists and thinkers at cultural gatherings at her home. Furthermore she was, herself, member of a number of artists associations. The stance the Union Shaarawy established from the Palestinian-Israeli conflict is notable. She sent a letter in July 1937 to Egypt's prime minister requesting a firm stance from Egypt regarding the British position in Palestine. The Arab women’s NGOs delegated Shaarawy to represent them on the Palestinian matters in all international events. A question that comes to mind is the relevance of re-publishing the memoires now, two years after the Egyptian revolution of 2011. Hoda El-Sadda points in the introduction that we live in times of extreme hope and extreme fear; amid a revolution that raised expectations to the skies, yet also brought fear about the unknown future under the strict religious currents that adopt an aggressive discourse that excludes or discriminates against people on basis of gender and religion. This book is important now as reminder of feminism and national movement leaders in modern Egyptian history and the role women played in making this civilisation and this society by participating in public life to fight against occupation.